An ideal replacement for Xiaomi Mi Band 3 smart bracelet. 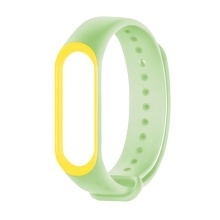 Two-color anti-lost wrist band, luminous glow in night. The watchband is suitable for Xiaomi Mi Band 3 smart bracelet, please check your watch model before you buy it.